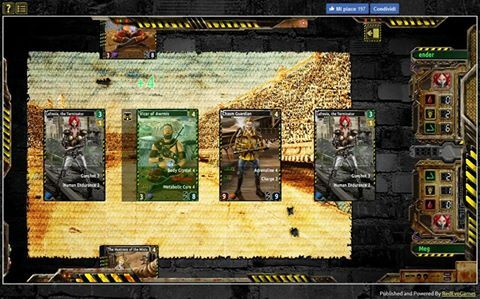 Redemption-The Third Era is a Trading Card Game, a Collectible Card Game with and internal market for trading. Redemption is set in our own post-atomic Earth some hundred years in the future. Build a deck with an hero card and other character cards will be the first step, then you can face a card duel with other heroes and their groups. We were able to complete the final software implementations, so you can find here the Beta version of Redemption The Third Era, our Trading Card Game. In order to test functionalities and collect feedbacks/issues during playing, we let users to join our Test team: they will receive special rewards in the game. The game boasts an original setting that was built up over time from past experiences that the project proponents have brought a dowry. 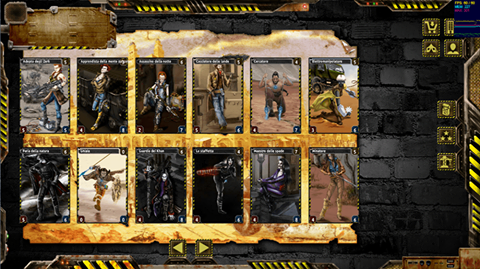 The game scenario is set in a post-apocalyptic world with not only humans, but also five other races (an example is in the following picture). There're login buttons (through Facebook, Google or Twitter account) that will let you play the game: within you can find the available game's sections (Collection, Deck builder, Match, Market, Shop) you can explore from the home through the dedicated buttons. In the following picture you can see the home and collection sections. In the Beta version, the Endurance game mode (we described it here ) is available. 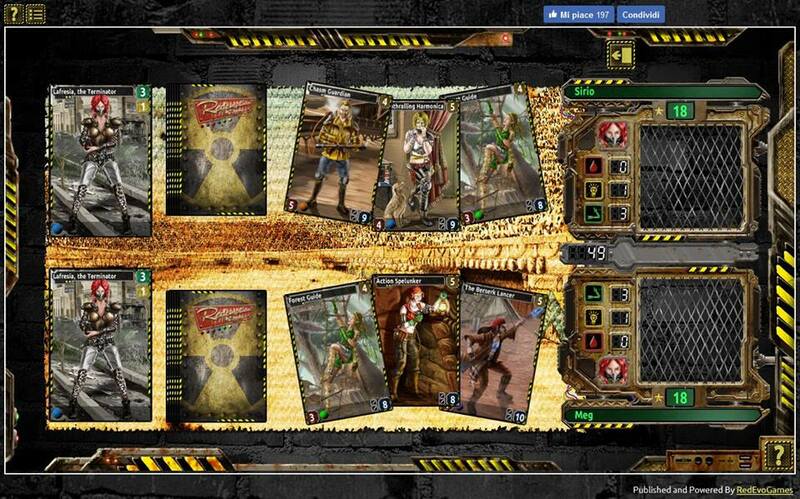 Here you can find an overview of the Endurance game mode concerning our trading card game. Here you can read about some of the final Icons we realized for our 'Redemption-The Third Era' game. Our trading card game development is going on, in the meanwhile Easter is coming and also Redemption is waiting for it. Here we show initial graphic tests for the Avatar of the Player.